Lacobel is clear float glass covered on one side by high-quality paint. Available in 20 trendsetting colours, the Lacobel glossy painted glass range features an attractive palette of contemporary colours. The range is divided into three lines: The Classics (3 timeless colours), The Trendies (11 fashionable colours) and The Exclusives (6 unique AGC colours). Matelac is clear glass covered on one side by high-quality paint and acid-etched on the other side. Available in 20 trendsetting colours, the Matelac matt painted glass range is divided into three lines: The Classics (3 timeless colours), The Trendies (11 fashionable colours) and The Exclusives (6 unique AGC colours). The matt look of Matelac combines seamlessly with its glossy alter ego Lacobel. In the Lacobel and Matelac 2020 range, 14 colours are common to both finishes – enabling designers to play with combinations shade by shade. 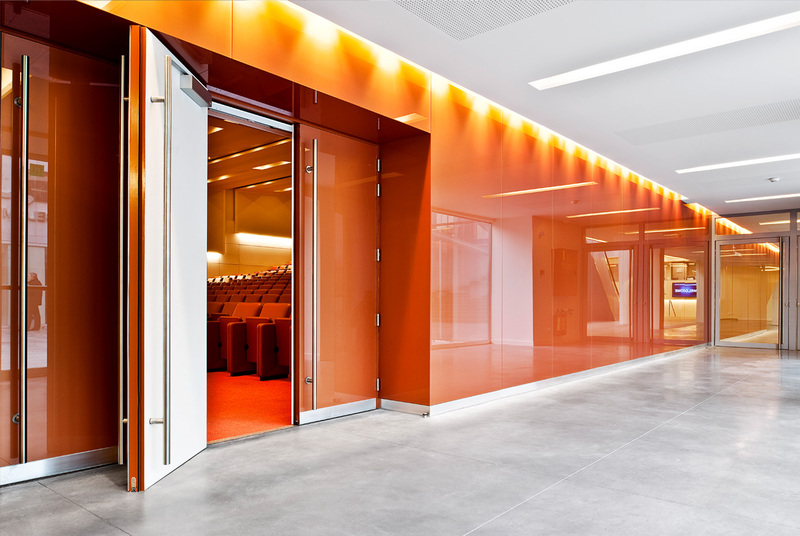 Float glass covered on one side with a high quality paint that must be heat-treated. After heat treatment Lacobel T is a true enamelled glass. Lacobel T is the first painted glass range that can be immediately cut and toughened, simplifying the production process and accelerating the delivery times. Available in 10 trendsetting colours, this glass is strong, safe and highly resistant to heat, thermal shock and UV so it is suitable for use indoors and out. We request that all templates are made from hardboard, MDF or plywood. We will NOT accept templates made from cardboard or paper.